Janhavi is not sure if she is more passionate about writing or travel and is therefore quite happy to combine her two loves. She has contributed to Outlook Traveller's guide Driving Holidays Across India and has written travel features for Indian and international publications including Conde Nast Traveller (UK), The Times of India, The Hindu, The Statesman, Vancouver Sun, Ottawa Citizen, Montreal Gazette, Calgary Herald, among others. 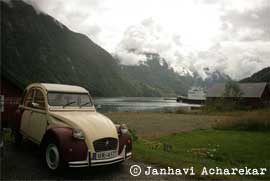 Janhavi is a freelance travel writer and a contributing editor at Conde Nast Traveller India. 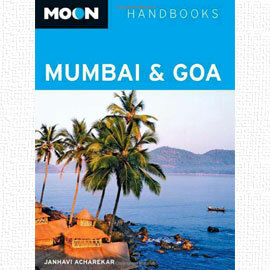 A travel guide to India's most vibrant destinations, Moon Mumbai & Goa is the first Indian destination guide by the American travel book series, Moon Handbooks. An in-depth guide to the city that never sleeps, and to the state of sossegarde and feni, Moon Mumbai & Goa helps plan your trip by providing unique itineraries, local insights and useful insider tips. A traveller's companion that makes your journey both informed and enjoyable, that makes you feel less like a tourist and more like a local. 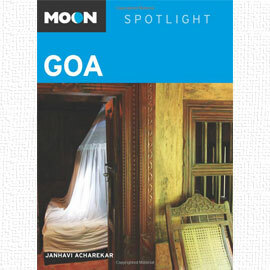 Excerpted from Moon Mumbai & Goa, this condensed travel guide has Goa in focus. Sightseeing highlights and maps make planning your time easy, together with recommendations on entertainment, shopping, recreation, accommodation, food, transportation and all things uniquely Goan.